The Indira Gandhi National Open University has opened its gate for the candidates who are willing to take an admission in IGNOU. Therefore, all the interested candidates can apply for the July session admissions. Students can apply for the courses offered by the IGNOU like a diploma, postgraduate diploma, bachelors and masters, PhD etc. 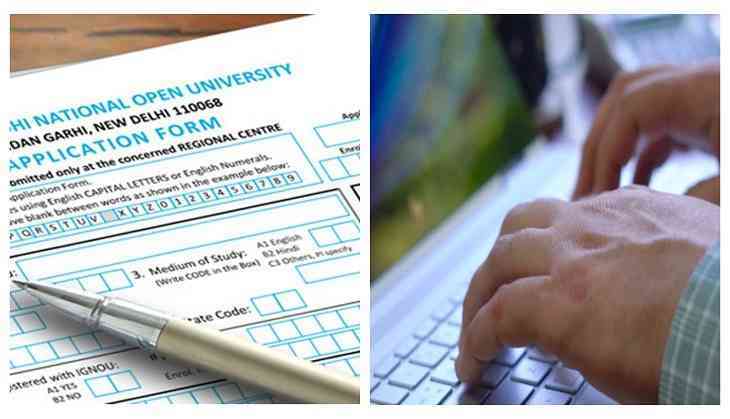 Students must be careful while filling their qualification details like if your subjects are different than the asked subjects in the list of the official website then click on the ‘others’. While candidates who are graduate or more than that then, they have to select ‘9999’ in the field ‘Board Code’. All the students are advised to keep their scanned documents before sitting for submitting your online application form of IGNOU. The documents that you should keep are scanned photograph (less than 100 KB), scanned signature (less than 100 KB), scanned copies of your educational degrees (less than 400 KB), age proof certificate, scanned copies of category certificate, if any candidate belongs to SC/ST category then also keep the scanned copy of BPL(below poverty line) certificate (less than 400 kb). Remember, the size limit should be kept in mind while submitting your documents, so edit it according to the size limit asked on the official website. Note: For more information & query, check the official website of IGNOU.